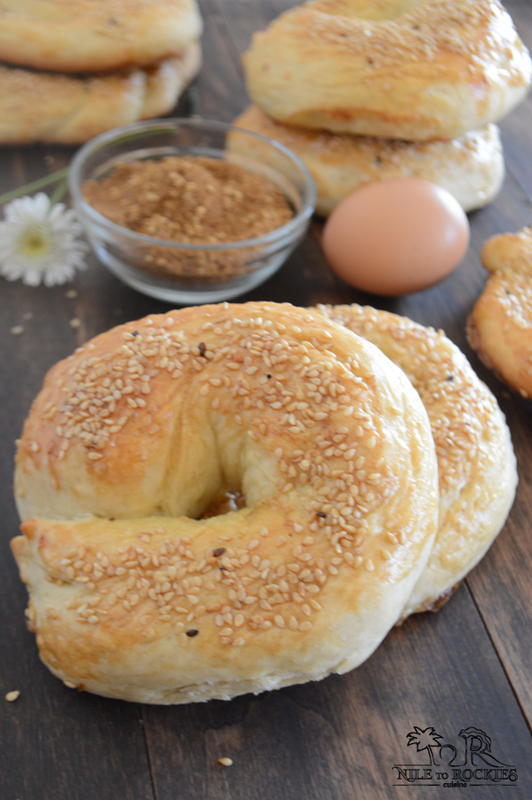 Delicious, circular , sesame topped bread that is going to decorate your breakfast/dinner table. Have you ever been to Egypt? If so, then for sure you must’ve noticed the simit street vendors roaming around, specially on the sides of the Nile river in Giza. Simit is a very popular type of bread, sold in Egypt along with hard boiled eggs and dukka (Egyptian spice mix), you can find street vendors selling it, specially in Giza at the zoo. 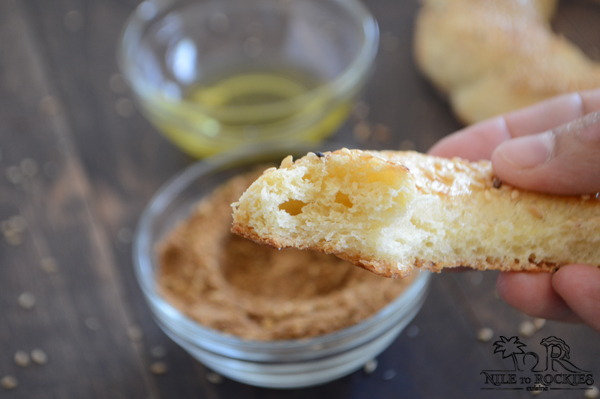 We usually dip the simit in olive oil then into the dukka mix, it is so delicious. 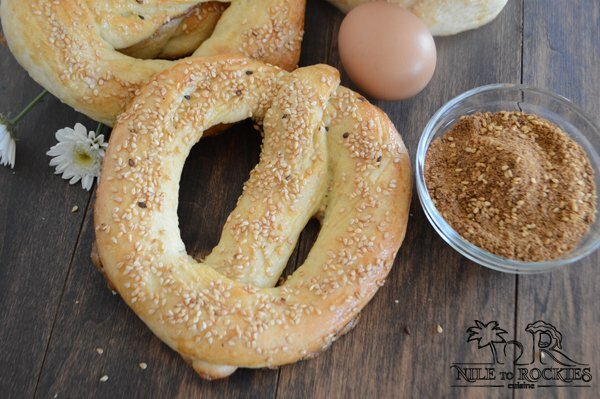 It is said that Simit was originated in Turkey, but this recipe here is for the Egyptian version, and I have no idea if the Turkish one is the same or not. 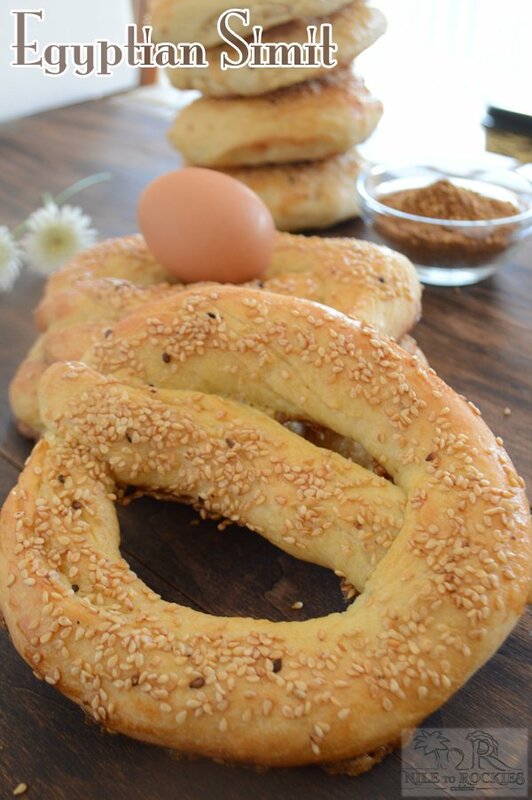 Simit is very popular on Sham enneseem, which is a day celebrated by all Egyptians. In this day we celebrate the spring time, this day usually follows the Egyptian Christian Easter. This day is said to be celebrated since the ancient Egyptians, as they used to offer salted fish, lettuce and onions to their gods. Up until this day, it is still celebrated with salted fish called Fesikh (fermented salted mullet), or Renga ( salted, smoked and dried herrings), lettuce, onions and colored eggs. Back in Egypt, my dad used to have a farm where all the family gather for this special days with loads of food we used to have colored eggs, falafel, foul, Simit and Egyptian traditional bread for breakfast then at the dinner table we has so many good stuff like Fesikh and Renga bt for those who cannot stand the smell of these fish we also used to have baked bechamel pasta. mahshi and grilled meat and chicken. We used to spend the whole day together from morning till late night then we all head home happy, tired but refreshed for the next business day…. aah good memories. This bread can be shaped anyway you like, I have tried a braided ring, bagel like ring and the one above☝️, which is the traditional, and I liked the traditional one best.. may be because I am used to it that way. 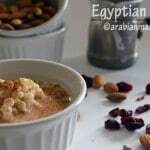 Here, Egyptians try to keep the tradition by gathering and trying to make the same dishes as much as we can, but most probably we do this on a different day as it is not a day off here. I am having a great recipe for Simit that I am going to make this year for them to bring back old memories of Egypt for them all. 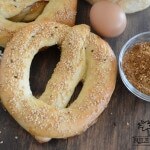 I hope you’ll like this traditional Egyptian/Turkish Simit recipe. 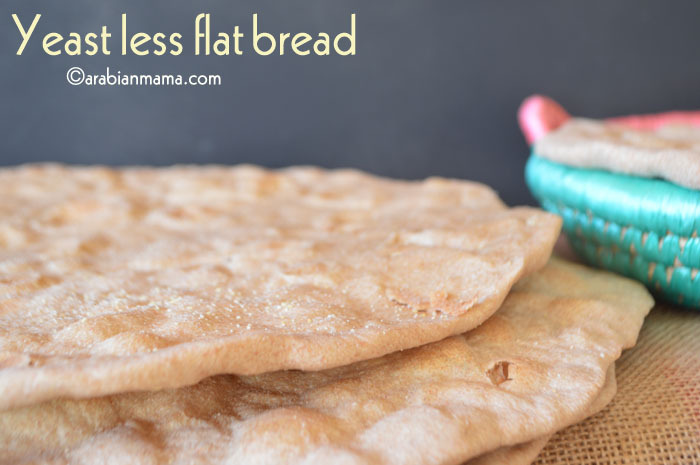 A bread the is very popular specially around Easter time. 2 1/2 cups A.P. flour. 1/4 cup milk - warmed. For brushing: 1 egg 1 teaspoon butter and sesame seeds. In a bowl mix the flour,sugar then add the melted butter and oil, mix well until grainy. Add yeast, milk and mix well. Add the egg and salt mixing until well incorporated. Gradually add warm water and mix until you get a soft dough that separates from the mixing bowl. Put in a greased bowl, cover and let it rise for 1 hour. Divide the dough into 6 balls. Shape each ball into a rope, then tuck ends together to form a circle. You can make a braided circle as well. Brush with egg and butter and sprinkle top with sesame seeds, cover and let it rise for 30 minutes, meanwhile heat the oven to 375F. Bake for 20 minutes until nice and top is browned. Serve with eggs and doqqah. We have eaten Turkish simit with cheese and salad. never had with dukkah. 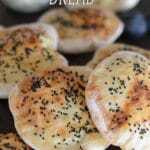 Please share the recipe for Dukkah too. Never tried a Simit before. I think I tried something similar in Turkey. 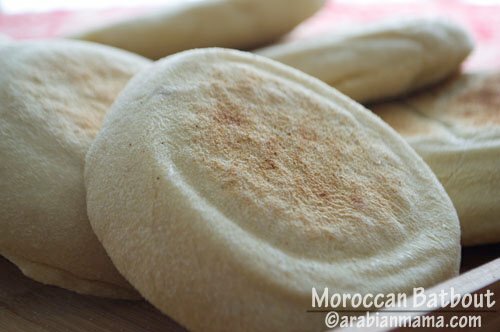 I always prefer breads in Middle East. Will definitely try to make one myself.